FRANKFURT, GERMANY - AUGUST 28, 2014: Street level establishing shot of the banking quarter of Frankfurt. 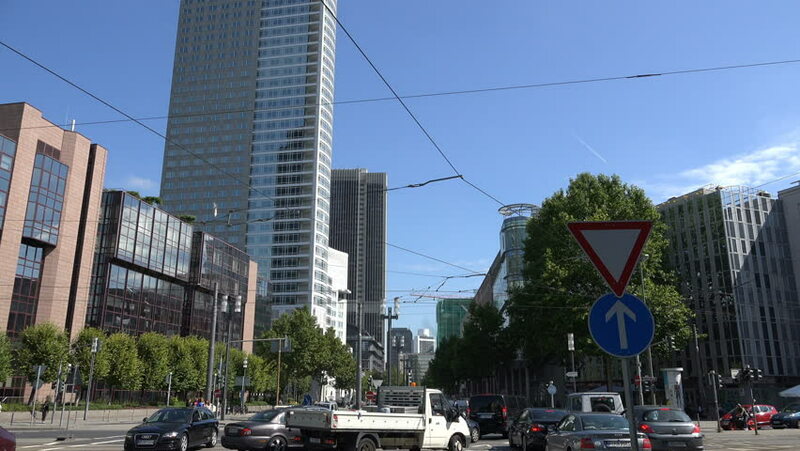 Frankfurt is Germany's main banking and stock trading city with headquarters for many banks. 4k00:30NEW YORK - JULY 12, 2015: driving across 125th Street with green taxi cab and Apollo Theater through windshield, 4K, Harlem NY. 125th Street is a famous avenue in Uptown Manhattan, NYC. 4k00:10An intersection in downtown Pittsburgh, PA.